I really really dislike absurdism. It’s just not my thing. I’ve read my fair share, but more often than not, I will complain the entire way through. That aside, this cover rocks. 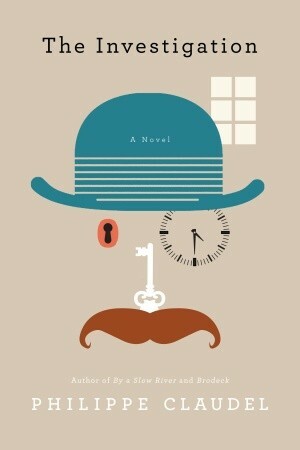 I agree, the cover is very Magritte. I love it too. I do like some absurdism, but it’s hard to compete with authors like Sartre, Kafka, et al. I mean, not only do you have to write incredibly well, but you need an original vision for what is a very limiting genre.